"He blocked her and said, 'Stop reaching out. You're not good for my health. I can't have this in my life.'" 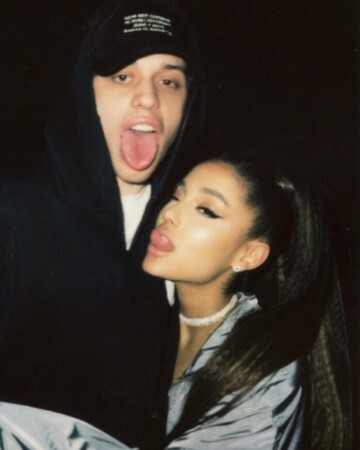 Pete Davidson sure is trying hard to move on from Ariana Grande. Ariana Grande reportedly reached out to Pete Davidson after their breakup but he wanted zero contact with the pop star. A source told PEOPLE that the "No Tears Left to Cry" singer, messaged the Saturday Night Live comedian, following their split this fall. It is being reported that Grande has confirmed that he blocked her on social media. According to a screengrab of a private message with a fan, she wrote, "i have never encouraged anything but forgiveness. i care deeply about pete and his health and would never encourage any kind of mistreatment. i haven't seen any of it because i'm blocked but i want you to know that i would never want or encourage that ever and you should know that." Grande's new hit breakup song "Thank U, Next" references four of her exes, including Davidson. The SNL star, who has Borderline Personality Disorder (BPD), opened up about his mental health on Monday in an Instagram post. "I've been getting online bullied and in public by people for 9 months," he wrote. "I've spoken about BPD and being suicidal publicly only in the hopes that it will bring awareness and help kids like myself who don't want to be on this earth." "I just want you guys to know. No matter how hard the internet or anyone tries to make me kill myself. I won't. I'm upset I even have to say this," Davidson continued. Let's hope that Pete Davidson gets to move on.